"When I fall in love with the song, I fall in love with the timbre and harmonies and melody. That's what kind of lifts me off," Zach Condon says. Beirut took refuge in rural Italy to record its first album in four years. The genre-mashing band's latest album, Gallipoli, out now, stays true to the band's signature sound. It's an amalgam of instruments all tied together by a unique, almost haunting voice. 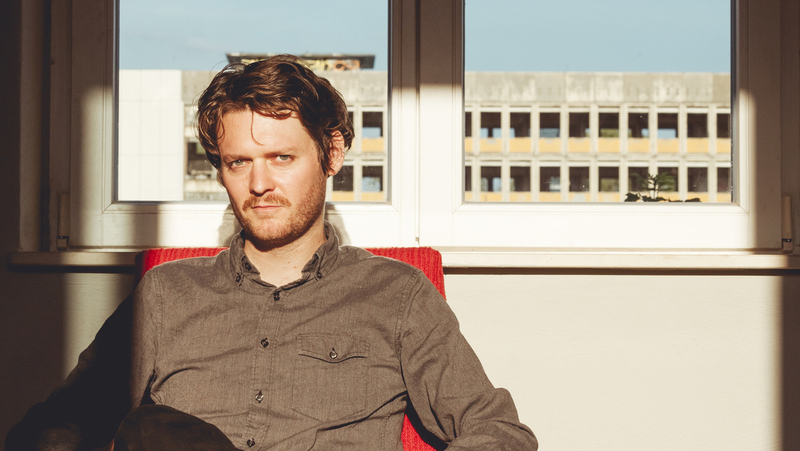 Beirut's bandleader Zach Condon talked to NPR's Scott Simon about hopping from city to city for inspiration, the emphasis of music over lyrics and more. Hear their conversation at the audio link and keep reading for interview highlights. Gallipoli is this medieval city island off the coast of Italy. It's about an hour away from the studio and we visited it from time to time while we were taking short breaks. I don't know what the city name thing is entirely. It's kind of it's almost like a psycho-analysis thing. I have theories, but I don't exactly have a great answer. Maybe it's just like the Indiana Jones thing or something, you see that little red line going across the map. And then, you know, I think growing up in Santa Fe — it's such a beautiful place but it's also quite isolated. As a teenager I was all about escapism. I think I was kind of a restless kid. On the instrument at the beginning of the song "Gallipoli"
This is a Farfisa organ. I guess this traveling circus came through town and they played the show in the art space that was attached to the theater. And [the organ] had all these broken keys and buzzes and just technical glitches so they left it behind. But I had kind of become known at the theater and around town in Santa Fe as this guy collecting these kinds of odd instruments. People would show up in my house in a truck with organs, for example. And so, of course, I got a phone call and I picked this thing up and I started writing on it. It's all over the first two albums. After that, I was kind of living in New York so it was harder to get to, but I would go back. I wrote the song "Santa Fe" on it, for example, when I was visiting with my parents. I get this feeling sometimes that lyrics almost force the song back to Earth or something. It's not so much about lyrics being completely pointless or meaningless. But when I fall in love with the song, I fall in love with the timbre and harmonies and melody. That's what kind of lifts me off. Then when I get too used to the song and I've heard it a million times and perhaps the glory of it is fading a little bit, that's when I start noticing lyrics. So it's the same in my music. I get this feeling sometimes that lyrics almost force the song back to Earth or something. I don't want to act or try to sound too special, so to speak, because many people suffer from this, too. ... I think perhaps there is a certain sensitivity that drives that feeling of outsider-ness, and that feeling of observation rather than participation.